Between 1970-1973 I studied hard and external martial arts. Then in 1992 I began studying Qigong with Amadis Cammell. Soon afterwards, in 1996, I discovered T’ai Chi on one of my business trip to China. As Chinese say; when you are ready the teacher will come! Since 1996 I have been a student at ‘The T’ai Chi Centre’ under the tuition of Master Mark Raudva. In 2000, I completed an Instructor Training Programme with Master Mark Raudva. In 2006 I began studying with Grand Master Dr John Kells founder of British T’ai Chi Ch’uan Association. Further to this, I regularly study with Master Steven Moore at his ‘T’ai Chi Heart-Work’ intensives in London. Since January 2009, I started learning Water Style Boxing from: Sifu Nathan Menaged in USA. I also studied with: Master Jennifer Lee, Grandmaster William Chi Cheng Chen, Adam Mizner founder of Heaven Man Earth Taiji and Andy Mack. I attended many workshops in UK and Europe on “Taichi Push Hands”. In 2008 I took an early retirement as Business Development Manager and Educational Technology Developer from Thames Valley University and after 30 years service in various educational establishments. In the same year I established South London Taichi, focusing on teaching T’ai Chi to corporate businesses and mature people. I have completed Professor Cheng Man-ch’ing’s Short Form, Yang Chengfu’s Long Form, the Left-Side, Weapon Form (Sabre), alongside Qigong, Sticking, Heartwork and Spirals (silk-reeling) exercises. Partner Work, Pushing-Hands, and Ta Lu have been all integral part of this learning process. I am currently learning T’ai Chi Dance, other Weapons Forms (Straight Sword and Staff). Since January 2009, I started learning Water Style Boxing (Liu He Ba Fa) from Paul Andrews in Brighton and Sifu Nathan Menaged in USA. While I acknowledge the martial aspect of the T’ai Chi art, my approach to teaching is essentially a non-combative soft T’ai Chi, focussing on relaxation, fitness and health. I was invited to run introductory sessions in T’ai Chi for UCU (Universities & Colleges Union) members in Lambeth, Clapham Park Project (Women’s Group), Balmuir Gardens GP Surgery, Ferndale Community Centre-Brixton, Wandsworth Council - Festive Reunion Event (MEND) and Active Days Conference - 2009 supported by the Age Concern in Wandsworth. In recent months I have taught many sessions in the following Centres across London, Wandsworth Primary Care Trust-St Michaels Day Centre in Clapham, Graveney Day Care Centre in Tooting, Age Activity Centre in Tooting, St John’s Hill Centre in Battersea, Battersea Scout Centre, Elmwood Court in Battersea, Ashmead Care Centre, Open Door Community Centre, Primrose Hill Community Centre in Camden, Amida and Nuffield Health Clubs in Twickenham, Lambeth Festival of Sport 2009, Active Workplaces Project for NHS-PCT around London (Government Office of London), “Black Sun PLC” employees in Fulham, The Furzedown Festival in Wandsworth, Honeywell infant school in Battersea, in July 2010 invited to present a programme to British Lung Foundation in South West London and In September 2010 participated in the Activate Programme by Lambeth Council. I am currently teaching T’ai Chi to the over 50s in Katherine Low Settlement in Battersea, the Open Group in Battersea, “Taichi for All Ages” in Crystal Palace and a few one-to-one classes in the West London area. I stopped teaching in the reCentre private Health Clinic in Balham - London 2009 -2017. This class is now being taught by my colleague Henry Goldstein on Mondays. I am also a qualified First Aider and was active volunteer with St John Ambulance serving in South West London region till 2016. In September 2010: I completed a Disability Inclusion Training for sports coaches by The English Federation of Disability Sport (EFDS). Please see: “WORK HISTORY” For full list. South London Taichi offers comprehensive and graduated tuition in T’ai Chi Ch’uan. 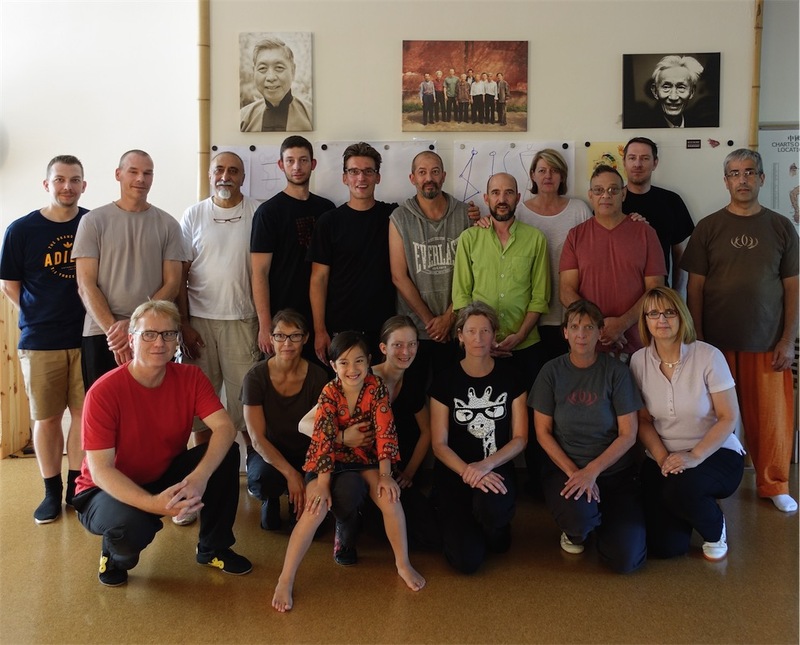 The syllabus is mostly the Yang style syllabus of the ‘British T’ai Chi Ch’uan Association’. However our teaching have been influenced by many teachers from many disiplines. A series of “Sitting Exercises” have been developed to cater for more mature students with some degree of disabilities. Many online materials are available to facilitate students learning as well as a dedicated Taichi “WhatsApp Group” for communication purposes. One to One classes can accommodate for students with their varying disabilities and energy levels. We are currently developing a programme on “Cane Form” for our more mature students. Beginners start by learning “8 Movement Yang Style Taichi” and She-Ba-Shi Set-1(Taichi/Qigong), leading to Professor Cheng Man-Ch’ing’s Short Form (Dr. Chi Chiang Tao version). Alongside these students practice many Qigong, Sticking, and Spirals (silk-reeling) exercises. Shi-Ba-Shi sets (T’ai Chi/Qigong), Chi Walking exercises, Partner Work, Push-Hands and Ta Lu. These are all integral part of Taichi learning process. Students then go on to “The Welcome to Continuing Programme” to learn Yang Chengfu’s Long Form. The Left Side, Weapon Form, and the Dance are taught with Master Mark Raudva in The The T’ai Chi Centre. 2008 - 2016: South London T’ai Chi run a course for Lambeth Council for patients referred by GPs. This initiative was part of Lambeth Council’s Healthy Lifestyles GP Referral Scheme: All movements were carefully chosen to cater for people with medical conditions. “Our elderly sisters and their associates participated for an hour on a weekly basis. They look forward to both the physical activity that was adapted to their varying disabilities and energy levels, but also the social stimulation provided by the group relationships that developed through the tea and cake afterwards. Hamid was sensitive to both the elderly religious background as well as the care homes function needs, complying with CQC requirements for DBS checks. Our GP was very happy this kind of opportunity was being offered to patients. We appreciated his concern for each and every one in his group, as well as the flexibility of his sessions at short notice due to our refurbishment or personal needs. ‘One of my recollections of Hamid was that he was always very welcoming. He took interest in his pupils; he always wanted the very best for us. It was obvious he must have studied the right approach to keeping fit for the elderly. He took into consideration our advanced age without adhering to it too much. He always gave the impression of being glad to be there with us’. South London Taichi: It is called ShiBaShi and it is 18 Movements. “I joined Hamid’s 11.30 am Thursday group in Battersea in 2014 and tai chi has become an important part of my life. Hamid is always welcoming and encouraging to new members; he is an excellent teacher, always willing to explain, and he has a good sense of humour. The levels of ability and skill of group members vary, but the atmosphere is non-competitive, the emphasis being on each person developing to the best of their ability, and students help one another. Hamid emphasises the importance of practising at home if we want to become more proficient in tai chi. He varies the ways of warming up and the organisation of the class so that students are motivated, engaged and encouraged to learn. He is very patient and has a concern for each member of the class. I am very grateful for Hamid’s professionalism, skill and kindness”. 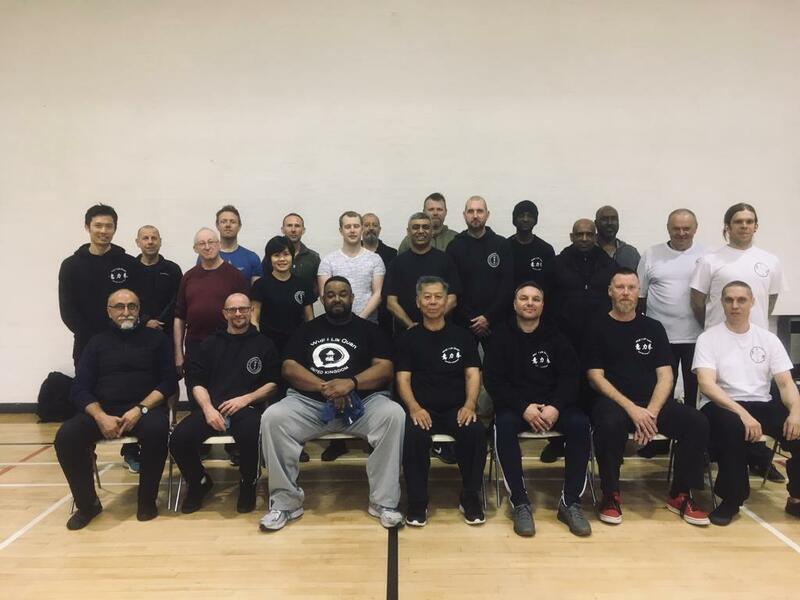 Lambeth Council for patients referred by GPs 2008 – 2016: South London T’ai Chi has been running a course for Lambeth Council for patients referred by GPs. This initiative is part of Lambeth Council’s Healthy Lifestyles GP Referral Scheme: All movements are carefully chosen to cater for people with medical conditions. Age Concern Programme - for the residents of Hanover Court, West London - 13 Weeks Programme completed in Feb 2011. L&Q Neighbourhood Group - for the residents of L&Q Housing Trust in Brixton - 6 Weeks Programme completed in Dec 2010. Myatt’s Fields Park, for the residents of Lambeth, Brixton - 4 months project completed in Oct 2009. This course was subsidised by Lambeth Council and took place every Wednesday to encourage the use of newly refurbished park. Women of Wandsworth - WOW Mums Battersea originally started in May 2009, was subsidised by Wandsworth Council for 15 months until July 2010. This course was made open to the general public in Sept 2010 and now takes place every Fridays, 10.00 - 11.30am in Katherine Low Settlement, 108 Battersea High Street, London, SW11 3HP. Lambeth Council - to promote the new leisure and health centre in Norwood. Tessa Jowell and many local Cllrs were among the VIP’s attended this session. 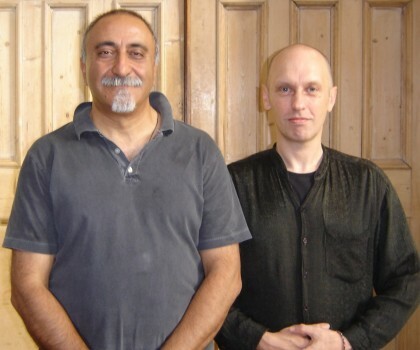 Hamid has studied T’ai Chi since 1996 at The T’ai Chi Centre with Master Mark Raudva. He regularly studies with Steven Moore at his ‘T’ai Chi Heart Work’ intensives in London. In 2006 he began studying with Grand Master Dr. John Kells founder of British T’ai Chi Ch’uan Association. Dr John Kells founded the B.T.C.C.A. in 1968 - it is the oldest T’ai Chi organisation in Europe. In 1976 Dr. Kells was the first Westerner to become an internationally recognised Master of T’ai Chi Ch’uan, he has had many notable teachers, one of the most important being Dr. Chi Chiang Tao. Grand Master Dr. John Kells died on 6th January 2017. Dr. Chi Chiang Tao was one of Cheng Man-ching’s student. He became Vice President of the Taiwan T’ai Chi Ch’uan Association and its senior instructor. After a conversion to Christianity Dr Chi disappeared from the T’ai Chi scene for nine years until Dr John Kells met him. He had to find a reconciliation between his Taoism and his Christianity. Water Style Boxing is an internal martial art based on the Grandmaster Tao Ping-Siang a study of harmony. It is an excellent system of yielding, using the energies of Taichi, Pa Kua and Hsing-I as they unfold as one in the more than 250 moves in the main form. Liu He Ba Fa has remained until recently, relatively unknown in comparison with the three main internal Chinese martial arts, but has been gradually gaining more publicity over the past decade due largely to the internet. 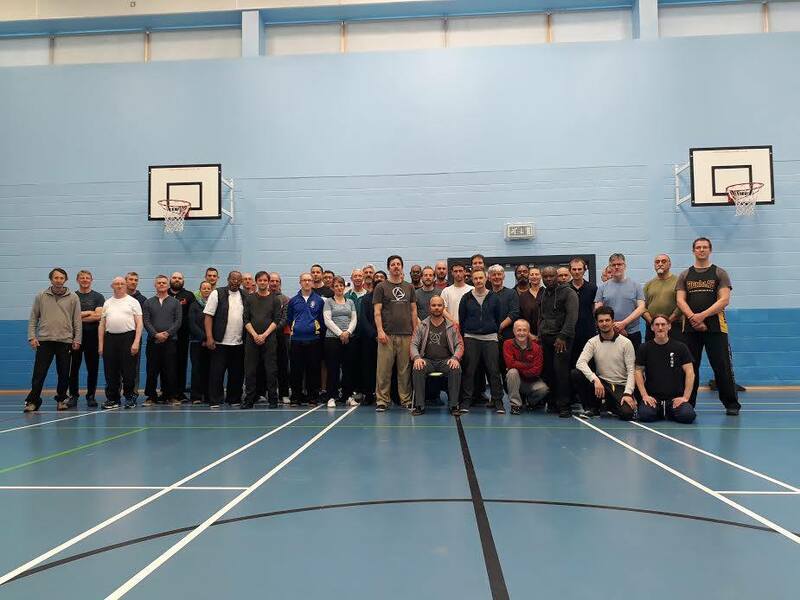 Since January 2009, Hamid Momtahan started learning Water Style Boxing from: Sifu Nathan Menaged in USA: The T’ai Chi Corner and his senior students in UK, Paul Andrews and: Cheyne Towers. Paul Andrews, is Nathan’s UK representative, and travel to train directly with Sifu Nathan at several times throughout the year. in 1976, Sifu Nathan Menaged started his journey in the Martial Arts with Taiani Kancho in Okinawan Gojuryu and was awarded 3rd degree black belt in that system. This quest then brought him to the Chinese Internal Martial Arts, becoming a senior disciple of Grandmasters Wm. C.C. Chen and the late Dr. Tao Ping-Siang. Grandmaster Chen regularly visits and teaches at this school. The Art that is taught at the school is a distinct culmination of the modern approach of the Body Mechanics of Wm. C.C. Chen Tai Chi Chuan, the unique style of Dr. Tao’s yielding and the importance of nimbleness and assessing a situation as learned from Taiani Kancho. Awarded the 7th Duan Black belt in 2009 by the San Shou Dao Association in China and recently awarded the title of ‘World Famous Martial Art Master’ in the book of 100 Extraordinary Martial Artist 2010/11. This was one of the Jennifer’s first of many planned visits to London as part of her commitment to allowing more people to benefit from Liu He Ba Fa practice. Grandmaster William Chi Cheng Chen was born in the province Zhejiang in China in 1935. 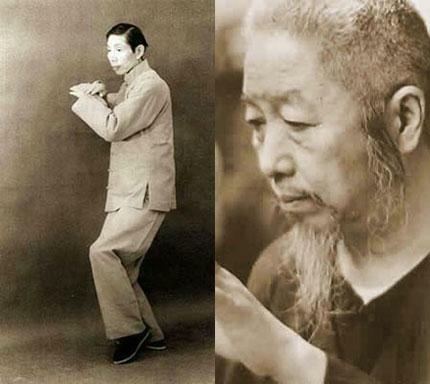 For over 60 years he has been practicing Tai Chi Chuan in the tradition of Professor Cheng Man Ching, whose short form he has further developed to a form with 60 postures and application-oriented body mechanics. Grandmaster William C. C. Chen has been teaching successfully in his school in New York since 1965 and he gives numerous workshops in the USA, Asia and Europe. Adam Mizner, founder of Heaven Man Earth Taiji, teaches Yang Style Taijiquan, influenced by Huang Sheng Shyan and Yang Shouhou. Adam is also a senior lay student of Ajahn Jumnien in the Thai Forest tradition of Theravada Buddhism, which also informs his approach to Taiji. As one pushes hands with Sifu Jimmy Hoew, one soon will discover how his/her structure has broken down. When there is no structure, there is “NO DIRECTION” and you can be taken anywhere. “Everything become Zero as soon as you touch hands with Sifu” (Justin Bryant).